The reclaimed barn wood furniture that we build at Vienna Woodworks is made using barnwood from barns taken down in the midwest that are typically over a hundred years old. We never use newer wood, and we never use barns that are not at least 80 to 150 years old. Every week we send out many samples to customers so that they can examine our authentic antique barn wood, and it is very obvious that the wood is beautifully aged and it is exactly what we describe on our website. We then take this barn wood and clean, buff and sand it so that it is smooth and beautiful. We are able to leave it more rustic, or use a special process to make it more smooth and even - the choice is yours! Not all customers like the same level of rustic in their furniture, and we can easily accommodate this! We have been doing so for quite some time, so when you look at our products on our website, you will see variations of rustic in the pieces. Some appear to be smoother, and some look more natural. This is all by customer request. All of our products can be made to what ever level of rustic look that you prefer. Please keep in mind that the more a piece of wood is evened out, and planed on the planer, the less aged patina there will be. The more that is planed off, the less history will be left on the surface. The beautiful tones and colorings (patina) will be shaved off. What is underneath is still beautiful and unique however, but it can sometimes look newer until you closely inspect it, and upon inspections you can see the many rings in the wood that indicate that this wood was from a barn that was put up 100 plus years ago, but interestingly, grew in the forest for at least 100 years or more prior to its use! The wood is probably, in reality, over 200 years old! The number of rings indicates the age of the wood - and new wood that you buy at a lumber store, or from barns that are younger than the ones we use doesn't have nearly the number of closely spaced rings, because trees that are now growing in most of the U.S. were planted after the virgin forests were cut down by the settlers years ago. They are not allowed to grow for 100 or more years like the trees used for the lumber in these old barns, so the number of rings is drastically different from the antique wood and the look of the wood is substantially different. True barn wood also has nail holes and saw marks very often. This is another way to tell. Often you will see furniture pieces that are called barn wood, made from various types of rough cut lumber (which is new lumber). This is easy to spot once you realize the difference. Newer lumber that is rough cut looks a lot like barn wood, and some people prefer this! We have a line of rough cut timber furniture on our site, but we make sure to differentiate between this and authentic barn wood. The main difference is that you will never see nail holes at all in rough cut new lumber or faux barn wood (unless the builder puts them in himself to give it character). The other tip off is the saw marks. The saw marks in this type of material are from modern saws and look different. The freshly cut saw marks expose the wood in such a way that they look lighter than the real barn wood. This is because they have not had time to age and darken they way the ones on true barn wood have. There are also usually a lot more saw marks made in this material as compared to authentic barn wood. Authentic barn wood saw marks were put there so long ago that the cut from the saw is darkened, almost black, because the wood that was exposed so many years ago has aged. They just have a natural look to them that is almost impossible to replicate. These marks tend to be more curved, and can have a criss cross pattern made from old saws while rough cut lumber often has many vertical marks like the photo just below. This is an example of one of our rough cut lumber pieces. Our furniture is not blotchy or rough, unless that is the look that you prefer! We do have a method of preparing the wood that keeps the patina in tact, but still provides a very smooth consistent look to the piece. This is our authentic barn wood. (photo below) If you look closely, especially at the front edge of the top, you can see how dark the saw marks are compared to the front edge of the top in the photo of the new rough cut lumber above. Also you can see here our wooden handles and knobs that we make. We started making these because a customer sent a sketch and requested them! We can provide documented proof of the age of our barn wood. Because we take down barns, and also work closely with our suppliers, we know the sites that the wood was taken from, which are all within 50-80 miles from our shop in Waseca, MN. We are in barn country here, and there are many barns that are beyond repair that need to be taken down in this area. The barn that is on our own land, where our shop is, is over 119 years old and is made with beams that are hand cut mortise and tenon. We have no plans to tear down this beautiful structure, as we restored it a few years ago and added steel to keep the roof in tact, and we have part of our operation inside. However there are plenty of other structures at our disposal. The wood used to build many of the old barns in the Waseca, Minnesota area is antique pine from long ago. This differs dramatically from the new pine that is available in today's lumber market. Antique or Heart Pine as it is sometimes called is a much harder wood than the new pine, due to the fact that it is from the center of very large logs that grew over centuries in North America. These center pieces of wood are exceptionaly dense and contain unique characteristics and colorings that are no longer available in today's pine, which is also substantiallysofter. We also often find douglas fir and some oak in barns, which we also incorporate into our furniture pieces. All of these wood species are absolutely sound and sturdy, and beautiful! The furniture itself, is made by true professionals who have many years of experience in working with wood and building furniture. Our drawer boxes are dovetailed solid wood, with high end metal drawer slides with roller bearing glides. We also have full extension drawer slides and self closing or soft closing slides and hinges available upon request. Our counter tops and table tops are smooth and durable. We take measures to prevent cracking (which does happen occasionally to all wood because it expands and contracts due to changes in heat and humidity) by checking the moisture level of the wood, and only working with pieces that are below the standard moisture level for building furniture. Chris, our owner, is kiln certified from his 25 years in this industry, providing us with the tools to make sturdy and structurally sound furniture at Vienna Woodworks. The joinery, the way that we construct our table tops and doors, is a method that is common and standard to the woodworking industry and has been used for many years. We use a very common method that is used industry wide - tongue and groove - in many of our products. Also on many tables we use breadboard ends, which are pieces attached that allow for expansion and contraction of the longitudinal boards. To join the breadboards, the ends are fitted with a slotted connection. If you have any questions about our barn wood or our furniture, please do not hesitate to contact us! Our Company Staff is best able to inform you as to any information about our company and our practices. We were recently told by a few customers that another company (the name was given to us but I will keep it confidential for the sake of that store) has been making claims about the age of our wood, and the quality of our furniture. Actually, we have had several customers mention this to us over the course of the past few years. Although we don't like to bring this up, we do feel that we must address false claims about what we do here. Firstly, I would say that another company only makes such claims in order to gain a sale, and for no other reason. At Vienna Woodworks, we never say anything about other companies that customers sometimes mention and ask about. The reason for this is simply because we do not personally know the owners of these other companies, nor do we know where they obtain their wood or what quality their furniture is. We consider making false claims to be an unethical means of doing business, and we pride ourselves on having very high ethical standards as a company. We appreciate our customers who enjoy working with an honest and ethical company that makes beautiful solid wood furniture from real, authentic 80-100 year old barnwood, and charges a fair price - while doing so without having to bad mouth someone else. At Vienna Woodworks, that is what you will get. We don't use high pressure tactics because we feel that you will find what you are looking for by speaking with us and viewing our products in the webstore. Some people even come out to our shop, and many come a long distance! We truly appreciate working with people who are on the same page as we are! Because we are a custom shop, we can build you anything that you envision. Our price point is considered to be moderate to low in this industry. Another company will say that is a reflection upon the quality of our products. Those who have purchased from us in the past know this to be completely false. If you are interested, we can provide you with many many references to speak to or email. The reason that our price point is such is that we price our products at a fair price because we are the manufacturer, and Company A is not the manufacturer, therefore, they have to mark up the product that someone else built and sold them in order to make a profit. The math here is simple, and the quality of our furniture is extremely high for the price. (If they are in fact the manufacturer, than they have priced their furniture to cover high overhead costs or for other reasons) The price is an added bonus, and when you purchase directly from us, the builders, you are getting a great value! We guarantee your satisfaction, because that is how confident we are from our previous experience of fifteen plus years of providing a superior product. Again, any claims about our furniture made by another company are without any merit what so ever, because they have not ever been to our furniture shop, in our lumber yard, or been given the opportunity to examine our products. I would respond back by asking them on what basis they are making these claims. We also keep our prices reasonable by keeping our over head as low as possible. Our entire operation is self financed. We do not have an expensive retail store to run. Our show room is right next to our shop buildings. We have no loans on our business, therefore we don't have this added cost to pass on to our customers. While we do have a staff of 10, we have streamlined our operation by purchasing equipment that helps keep each builder working at a good pace. Each builder has his own set of tools, and his own saws, planers, joiner and other equipment right by his bench. This was an upfront investment that has allowed us to keep our turn around time at an acceptable level, and has reduced the number of builders that we would otherwise have to hire and pay. We do not spend a lot of money on advertising, as Elizabeth, the co-owner does all the work on the website and its optimization in order to be found in the natural search results for Google, Yahoo, Bing, etc. We don't spend money on the pay per click ads that other companies use. These are often extremely costly! You probably found our site by an internet search where we came up in the natural search results. We also don't take out many magazine ads, because these are very costly - and that cost would get passed onto the customer, and drive up the price of the products that we make. When we go in trade shows, we have a very small booth, and try to make the best use of that space that we can, otherwise these events become very costly as well. Our catalog is our online store, as creating a paper catalog only drives up the cost of doing business more. We make every effort to provide a professional service to our customers and build high end products with the lowest over head possible. Because of these reasons, (and more), Vienna Woodworks LLC is able to provide Highly Competitive and Affordable furniture to customers throughout the United States and Canada. If you do not see what you are looking for at www.viennawoodworks.com, please email us at info@viennawoodworks.com or call us at 888-625-7570. Here we have photos of a barn take down from last summer. This barn belonged to one of the relatives of the original homesteader who purchased this property in 1859! 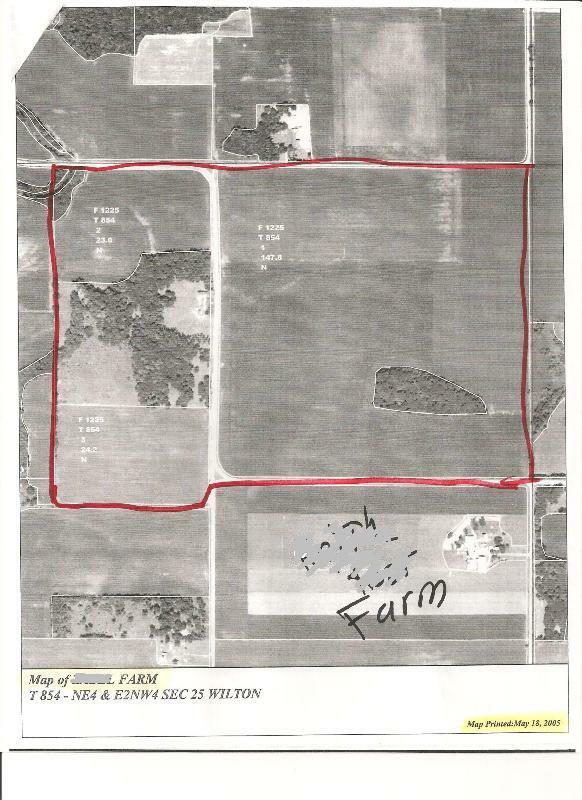 (documentation is available to the public from Waseca County Court House - and the Waseca Historical Society - we will get this information for you ) The barn was build shortly after the farm site was purchased. That would make the barn approximately 150 years old! We have many more barns within this age range lined up for this spring, and will have documentation and more photos of us taking them down that demonstrates that we are providing furniture that is a piece of history! Working on taking the barn down! This video is the final process of taking down this specific barn after we have stripped all of the wood out of it. Only the frame remains! Hit Play and take a look! As you can see in this video, we had already stripped most of the wood off of this old barn and pulled down what was left of the frame. There is a lot of great wood here for us to work with and we have several barn take down projects planned in the future as well. More photos and videos coming! Thank you for taking the time to read about our barn wood furniture and for your interest in having us provide you with custom made furniture! We often get phone calls and emails asking us about the things that we have addressed on this page, so we felt that it would be beneficial to provide this information. While quite lengthy, it will answer many of the questions that you may have as well as clear up any misconceptions that may arise from the comments of our competitors.